People often ask me to define the term “Sephardic Jew.” The answer is complicated. No, it does not mean “from Spain,” although that is the commonly understood definition. It also does not mean anyone who is not Ashkenazi. For example, Jews who migrated to Italy during the time of Judah Maccabee or as slaves under Julius Caesar do not think of themselves as Sephardic. Neither do Greek or Persian Jews. Do they use Sephardic liturgy? Yes. Sephardic texts? Yes. Common religious customs? Yes. But these groups do not think of themselves as Sephardim. So who is a Sephardic Jew? According to references in Genesis 10:3 and Obadiah 1:20, the lands called Sepharad were in areas north of the Holy Land, and were not necessarily in Spain and the Iberian Peninsula. 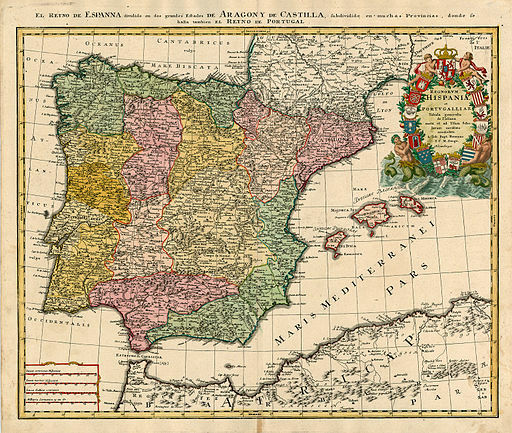 If you define a Sephardic Jew as someone who can trace himself back to Spain before 1492, when the Jews were expelled by King Ferdinand and Queen Isabella, then you must still consider the ancestry of the Spanish Jews. They were the descendants of Jews who came in waves to the Iberian Peninsula from modern-day Egypt, Iraq, Israel, Syria and across North Africa. Arabic was the principal language in large sections of Spain until the Christian conquests and was used by Jews for daily communication and religious practice. In other words, Sephardic Jews traveled to Spain from the Middle East, then returned to the Middle East before spreading to North Africa and beyond. Today, the term “Sephardic” has come to be accepted as a reference to Jews whose ancestors settled in countries around the Mediterranean, North Africa, the Balkans, Italy and the Levant, as well as Jews who already lived in those places. Have I settled this? Or are you more confused now than you were before? Do you understand how to define a Sephardic Jews? Probably not—but that’s ok, academics can’t agree on it either. The term Sephardic referred to people living in Spain and Portugal during Talmudic times, and who developed a distinct tradition. It did not include Levantine, North African, Greek, Italian and Persian Jews. And it was not use for all Jews in Iberia either. Yosef Caro (16th c.) differentiates between the customs of Catalonian Jews (in northern Spain) and Sephardic Jews. I think the author is referring to Greek Jews who are Sephardic. My husband is one. His family, up to the last generation was fluent in Ladino. They were resettled in parts of the Othoman Empire. Greek Jews also can be Romanites but that is a whole other group.